These are the kind of photos my husband bring home that make my heart stop. 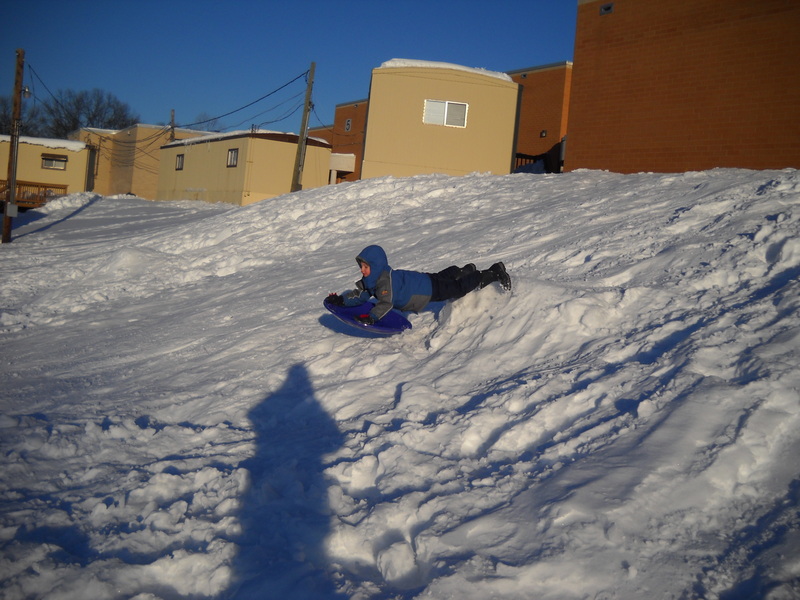 He’s supposed to be sliding down a smooth school hill, no one said anything about AIR! Apparently some teenagers decided to add some moguls or whatever they are called (I’m from Miami, remember?) 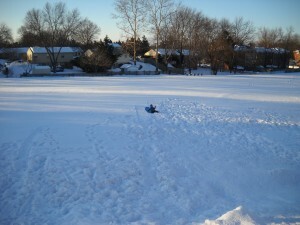 to the “gentle” sledding slope. awwww, so cute. the conversation, I mean. 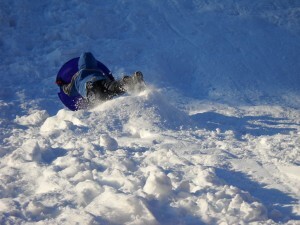 the 5 year old “catching air” not so much. When you look at the top picture in full size and see his little (big) feet way off the ground, you realize just how much “air” he must have gotten! Sending a Miami man and a fearless “polar bear” boy out to play in the snow unsupervised may not be my wisest idea! LOL!